The red, home-made wine Merlot, produced by Grigoriopol resident Mikhail Spean, from the 2011 year harvest, was awarded the first place in the nomination ‘young wine’, within the framework of the annual contest Golden Cask. 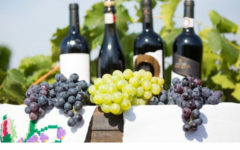 According to the Chamber of Commerce and Industry, as many as 700 wine samples produced by Moldovan viticulturists from different raions of the country were presented at the contest. As many as 96 wine varieties made by 70 producers made it to the finals of the contest. 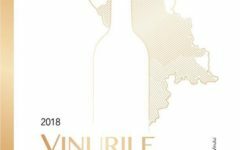 The wine Muscat-2011 made by Valeriu Popa from Susleni village, Orhei raion was awarded the first place in the category of white wines, whereas the wine Hybrid Red produced by Mikhail Romaniuc from Orhei became the best one among the hybrid wines. Merlot-2008 and Rcatiteli-2010, produced by Roman Iurco and Alexandr Crudu, respectively, were acknowledged the best wines with a maturation period of over a year. Among the desert wines, the best were Maci-2011 produced by Mikhail Sava from Costesti and Auriu-2011, made by Mikhail Bejan from Cahul Raion. Cabernet-2011 (produced by Tatiana Agaci, Buceni village, Hincesti raion), Doina-2011 (Dumitru Cara, Cazaclia village, Comrat raion) and Roze-2011 (Roman Iurco) were awarded special prizes. 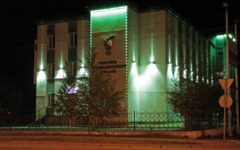 The awarding ceremony for the winner of the “Golden Cask” contest of home-made wine producers will be held this upcoming Saturday, on the sidelines of the National Wine Day. The contest awards quality natural home-made wines, both red and white. The producers must indicate the type of wine, the year of production and the grape variety used for its production. The Grand-Prix of the Golden Cask-2012 contest is a 120-liter oak cask for wine, made by popular masters from Ciuciuleni village, Hincesti raion. Infotag’s dossier: The contest on the best home-made wine has been conducted at the initiative of the Moldovan Chamber of Commerce and Industry since 2002. The main purpose of the contest is to indentify the best producers of home wines, as well as to promote and preserve the national wine-making traditions. The participation in the contest is voluntary and free of charge.